Hi folks. 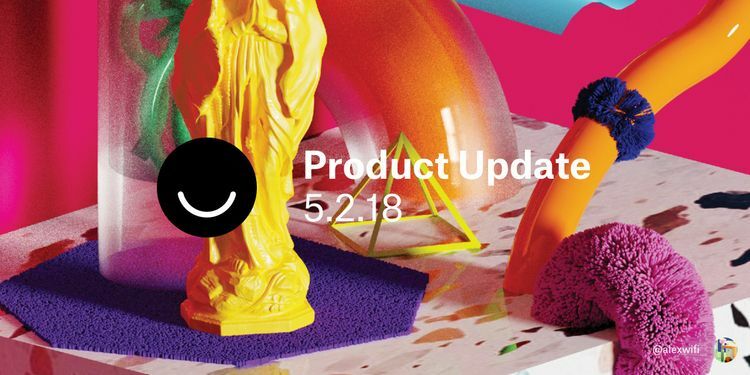 This week we added a new Lightbox feature, queued up an Artist Invite with Strange Ways, and are dropping some fresh giveaways. Dive in. You can now view all Ello streams using the Lightbox. Enjoy amazing art in fullscreen. Navigate posts, add comments, , and repost to your heart’s content. A nice feature of the grid view Lightbox is that all the images in a post will load in the Lightbox, even though the grid view truncates to two content blocks (image or text) by default. So not only can you quickly navigate your stream but you also get to see all the images in a post. Check out the video to see how it works and try it yourself. Coming soon: Strange Ways is a curated shop showcasing unique and unusual items for both wardrobe and home. Strange Ways focuses on smaller statement pieces like pins and patches that make it easy to add a bit of flair to everyday life. 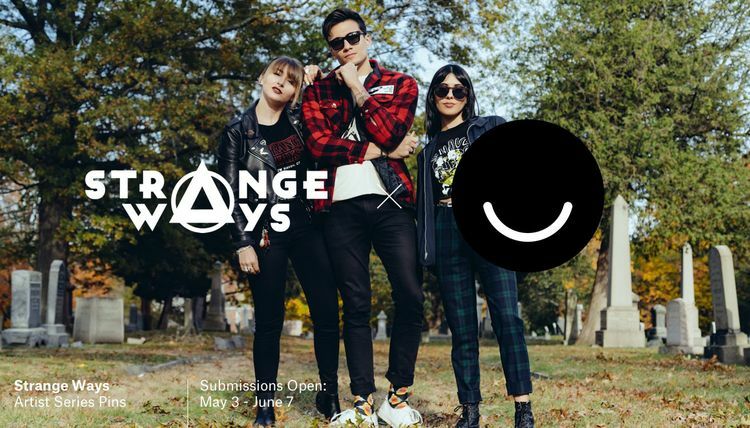 Strange Ways has been featured in Refinery29, GQ, Harper's Bazaar, Seventeen Magazine, BUST Magazine, and Design*Sponge. Strange Ways is proud to work directly with small brands and support independent designers and artists, and takes great joy in introducing customers to new items and artists they haven't seen before. Strange Ways also works to create one-of-a-kind collaborations and exclusive items from artists, brands, and even pop culture faves like cast members of RuPaul’s Drag Race or cult films like Clueless and Mean Girls. 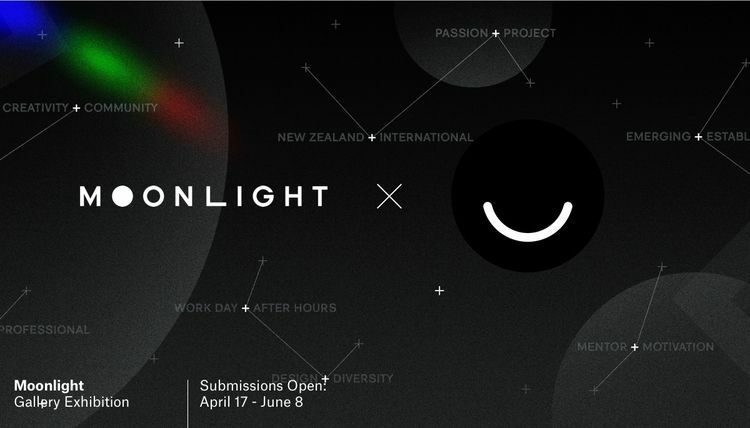 “Moonlight” is an initiative to inspire the New Zealand creative community by connecting emerging and established talent through a common passion: moonlight projects. “The brief? There is none. But that’s the whole point. See, magic happens after the hours of 9-5; for many, that’s when true creative flare ignites, sparked only by personal passion. That’s the type of work we’re looking for. Painting, pottery, knitting, photography; we want to see whatever it is that gets you out of bed in the morning, and keeps you out of it at night. Submissions can be anything, as long as they demonstrate passion, and it happened above and beyond your course work." 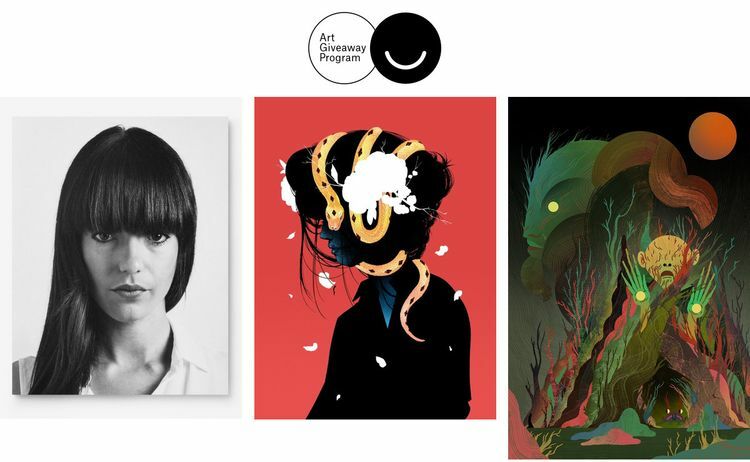 Not only will Moonlighting projects be seen by a global audience of millions on Ello, but 12 students will have the exclusive opportunity to have their passion project selected for the upcoming Moonlight exhibition at Allpress Gallery in Auckland. If selected, artists will also be individually mentored by a respected industry leader, in preparation for the exhibition – where their work will be displayed alongside that of the mentors’. Meet Underscore, our premium, perfect bound quarterly monograph packaged with an extra-special accompanying zine. Our first volume features an exclusive interview and the work of world-renowned graphic designer, Jessica Walsh. Comment through 5/8 to win 1 of 5 copies or order your copy here. Living and working in Tennessee, @houstonjoshuac is a freelance illustrator who creates vibrant and colorful portraits of figures in profile. His work is inspired by mystery, noir and obfuscation. Comment this Thursday through Saturday to win a framed print of “Constriction” by the artist. View more of his work here. Based in the UK, freelance illustrator @scott_balmer creates colorful, stylized new worlds complete with everything from “towering monoliths or magnificent beasts”. Comment this Saturday through Tuesday to win a wood print of “Pan’s Labyrinth” by the artist. View more of his work here. Awesome background image by @alexwifi.